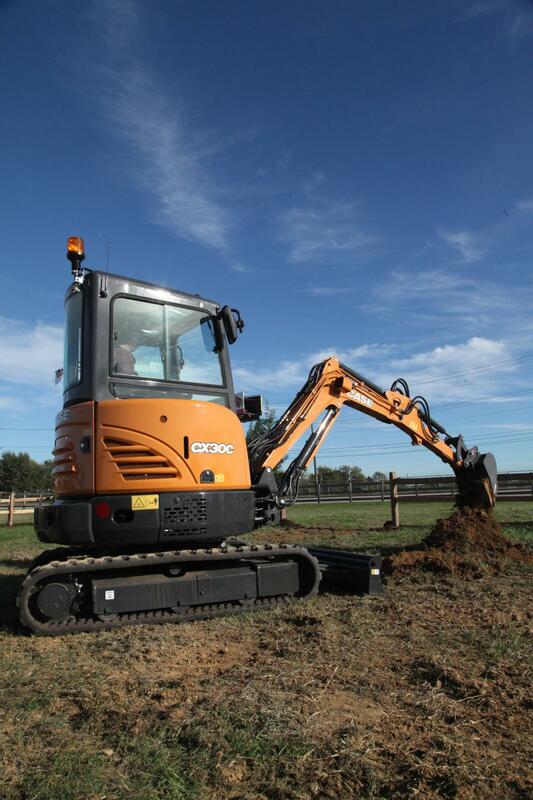 The CX30C is powerful enough for tough jobs, but nimble enough to access more confined areas. In addition to that, like all C Series models — with the exception of the CX57C and CX60C — it can be towed with a pickup truck, without the need for a CDL (local and state regulations may apply). With an operating weight of 6,020 lbs. (2,730 kg) and a 24.8 hp Tier IV Final engine, Case Construction Equipment's CX30C mini excavator boasts a bucket digging force of 4,520 lbs. of force. Each new C Series model features a variety of standard features designed to improve productivity and performance, according to the manufacturer. The new machines feature a zero tail swing, short-radius or conventional design, adjustable boom offset for improved maneuverability in congested areas and an auto-shift travel system for operator convenience in varying terrain. An auxiliary hydraulic system with standard proportional controls, shut-off valve and easy-to-select joystick control patterns offer increased productivity, and a spacious and comfortable operator environment with enhanced visibility, ergonomic controls, adjustable seating and line-of-sight digital displays minimizes operator fatigue. The C Series mini excavators provide a spacious, stress-free operator environment, and feature excellent all-around visibility, ergonomic controls, adjustable seating and line-of-sight digital displays for improved operator comfort, according to the manufacturer.